Irregular thoughts from Roger Shepherd. If you read them, someone else might not. 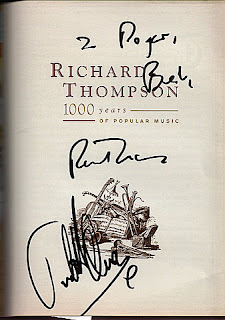 I went to a great concert last Friday - Richard Thompson's 1000 Years of Popular Music. I may have seen Richard Thompson live before - but it would be at least 25 years ago - I do remember seeing a film of a festival featuring Fairport Convention, the band he joined when he was 10 years old (or something similarly precocious). I had a (reel-to-reel) tape of "The History of Fairport Convention" which I loved - especially the Richard Thompson guitar dominated songs like "Meet on the Ledge". I then encountered "Richard and Linda Thompsons" albums - "I want to see the Bright Lights Tonight". I then went through a long Richard Thompson free period until I heard some tracks - one of which must have been "Wall of Death" - from the great "Rumour and Sigh" which I had to go out and buy. [Well, as Anonymous points out in the comment below, it wasn't "Wall of Death" which is much older and was on "Shoot out the lights". So, I guess it might have been "Read About Love" or .... So many good tracks and 1991 is a long time ago]. Anyhow the gig was great. Wonderful musicianship and wonderful performances from Richard, Judith Owen and Debra Dobkin. I particularly enjoyed "Friday on my Mind" (Easybeats), "Money" (Abba) and "Man Eater" (Nelly Furtado) - especially the latin break. Err yes, Anonymous, you are right. I've edited the post to take account of your correction. 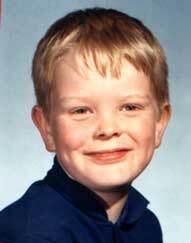 i read on wikipedia that richard would play a john martyn song on this show to pay tribute to john that recently died. did he? if so, which song? Interesting question. The answer is no, he didn't. But someone in the audience asked him about this and he said that they were working something up and that they'd play it tomorrow (i.e. Saturday) in Brighton.